Y'know...this can drive a man to drink! And yep, that was the point for "Winter's Tale ~ Fuyu Monogatari" (the Japanese and English have the same meaning) since this was a campaign song for a Sapporo brand of beer that was being sold just in the winter in the early 1990s called Fuyu Monogatari. And double yep, "Winter's Tale" is one song that can be given the sommelier's treatment although the product was a beer and not a wine. 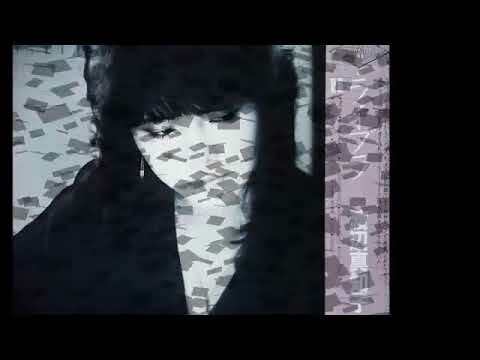 Sapporo should have been properly flattered for Fuyu Monogatari getting such a cool theme, thanks to this duet involving singer-songwriters Hiroshi Takano（高野寛）on lyrics and Takao Tajima（田島貴男）of Pizzicato Five/Original Love on music. It's got some snazzy and jazzy spark of sophisticated pop by way of British 1980s soul, disco/post-disco bits, and simply some happily familiar Tajima horn arrangement. It's all about good times as the commercial shows. Hit the slopes and then savor the apres-ski with some beer and stuff. Released in November 1992, "Winter's Tale" peaked at No. 21, and also ended up on Original Love's "The Very Best of ORIGINAL LOVE" from April 1995. That album went all the way up to No. 4 and became the 78th-ranked album of that year. Takano is no stranger to cool winter-based music.